Avatourism: Are you taking Advantage of the latest travel trend to grip the world? In your travel school marketing class, do you remember when your instructor spoke about organizing a travel event for clients? Some of the suggestions included a thematic evening or a restaurant ‘taste of” presentation or a night at the movies and more. Wait a second… Movies? Of course, there are many films that help to spread the good word about travel, from Lawrence of Arabia for your Jordan-bound clients, to Out of Africa your Kenya Safari fans. But how many of you have tapped into Avatourism? 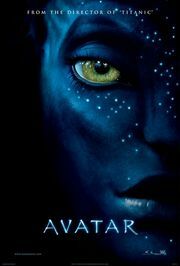 The movie Avatar has recently assumed the number one position as the highest grossing film in history. Each week, since its release, legions of Avatar fans in all age groups, line up for an hour or more to get the best seats to see the movie in 3D or IMAX 3D for a second or third time. And they leave with what? They leave the theatre with their imagination stimulated and their thoughts focused on rain forests, indigenous people, tribal wisdom, learning about new cultures, picking up a few words in a foreign language, interacting with the local wildlife, discovering the beauty of flowering plants and connecting with the destination, so that it becomes their prime focus. Their endorphins go into hyper-drive and the movie becomes all-consuming in their minds. Sound familiar? Guess what? It is all about travel. Avatar is the latest, greatest promotional piece on travel—and all you have to do, as a travel professional, is allow your creative juices to flow! In Sanskrit, ’avatar’ literally means a ‘descent’ and in the Hindu religion it refers to the descent from heaven to earth. One of more popular examples refers to the god Ganesha (the one with the elephant trunk) who descended to earth in 8 different incarnations or manifestations or avatars. Travels around South-East Asia reveal the influence of Hindu avatars, whether it is the bridge that connects heaven to earth as you enter the grounds of Angkor Wat or the historic Bulguksa Temple in South Korea. And stepping away from Asia to other indigenous beliefs, many travellers learn of the connection between the earth and the sky when they visit Machu Picchu. How about putting together a list of destinations that fulfill the connection between the heavens and the earth and featuring them in your agency newsletter or your front window? In the movie Avatar, one of the key lines delivered by Dr. Augustine, played by Sigourney Weaver, is that the Nav’i people believe in “a network of energy that flows through all living things” Those travellers who have experienced some form of interaction with a local population are well aware of the energy that connects all people around the world (Just think of the simple act of smiling—it is done everywhere around the world in the same language). Again, in your marketing, take the Avatar approach and have this idea as your travel banner. Talk about the energy of discovery and sharing ideas and learning about the history and culture of other people. If you are selling adventure travel, then this is a natural occurrence, where, no matter how minimal the adventure component may be, your clients are experiencing the land and the people in a unique way that will probably influence their travel decisions forever. Promoting Avatourism can also include niche market groups. Are your clients into garden tours? Creatively get them into the spirit by featuring the flora on the planet Pandora, such as the huge mushroom–like plants (Helicoradian) that shriveled up to tiny nubs, when touched. Are your clients into Safaris? Then you can titillate their curiosity with a lead photo of the hammerhead creatures from the movie, who ultimately help to save the day for the Nav’i people. The planet Pandora is, for the time being, not accessible to travellers, so the usual 25% rule does not necessarily apply. (Destinations in which a leading movie is filmed, tend to experience an immediate 25% increase in tourism) Although some of the scenes were shot in New Zealand—which currently also enjoys a Lord of the Rings tourism flow, many of the other scenes are housed in the form of computer imaging. You can’t send clients there but you can take advantage of the themes of the movie with the goal of increasing sales to destinations that capture the spirit of Pandoran society..
For those who have seen the movie and read the reviews, you know that there are many analogies for the various themes that run through the movie: religion, eco-tourism, sustainability, militarism and cultural assimilation, but also respect for one another, understanding the customs of different peoples, and sharing in the energy of discovery. Ultimately, in the movie Avatar, the strength of the connection between all living things triumphs. In travel—responsible travel—the same holds true. When you leave your next destination and your thoughts are totally consumed with the experience and the absolute desire to share that experience with your clients and ultimately send them to that destination, then you have, yourself, assumed a different incarnation. Your life has been changed. Welcome to the world of Avatourism. Welcome to the joys of travel.